At a certain age, kids get sick of sitting in a bike seat or trailer. They want to be a part of the action and bike too! Unfortunately, they are still too little to bike long distances without getting tired and they can be painfully slow. A trailer-cycle, also known as a tagalong or trail-a-bike, is a great solution. 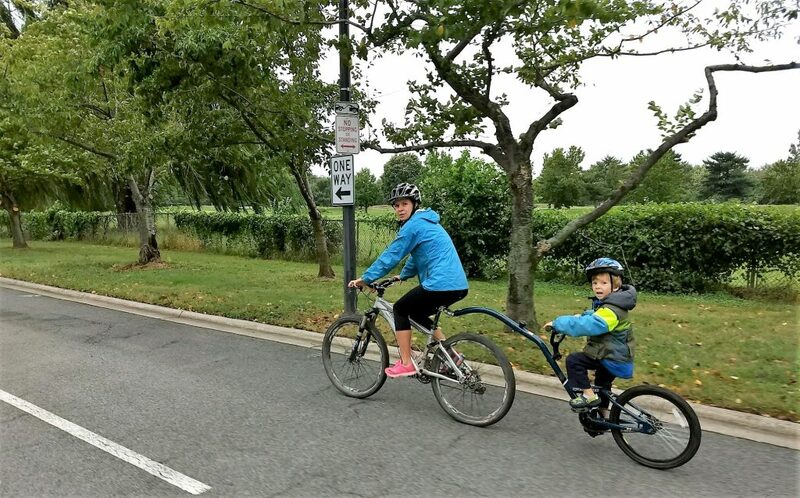 Kids get to pedal but mom or dad do the bulk of the work. Here I offer my recommendations for which trailer-cycles you should buy (“the 5 best”). If you keep reading to the bottom, I also offer suggestions on what to look for when shopping for a trailer-cycle, and a handy-dandy comparison chart to help you choose. 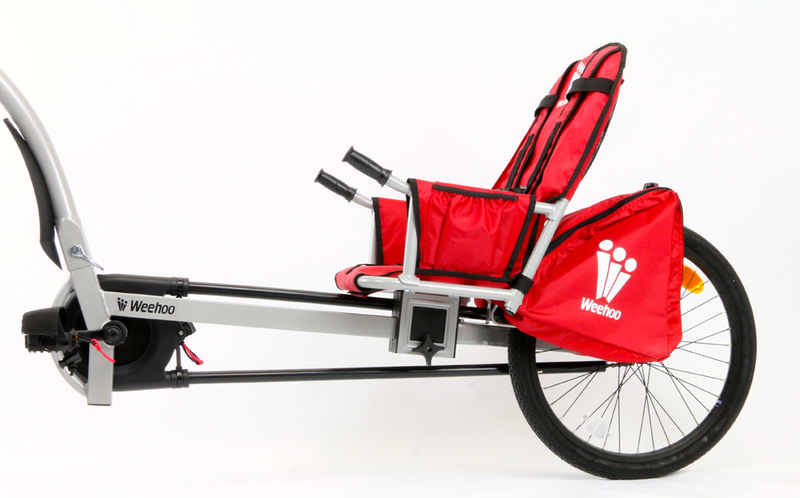 The Weehoo is unique in three ways: 1) it is recumbent, 2) thanks to a five-point harness it can be used with kids as young as 2, and 3) it comes in a double-seat version so you can use it with two children. We like using our Weehoo both on and off road—and even for bicycle touring. Read my full review of the Weehoo. Among parents in the know, the Burley Piccolo is consistently a top-pick. As expected from a brand like Burley, the quality is high. Because the Piccolo attaches to a rack (included), rather than the seatpost, stability is better than many other trailer-cycles. 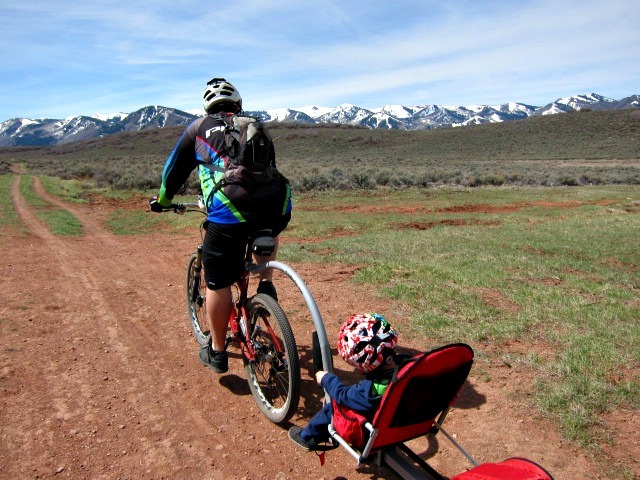 For serious mountain biking families, the Tout Terrain Streamliner is a dream come true. This trailer-cycle has 160 mm of suspension (!!!) 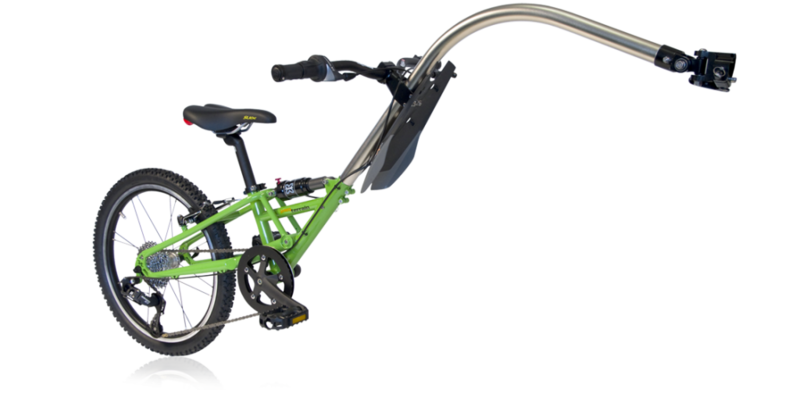 and its own rear brake, so no trail is too rough to share with your little one. It also works well for long touring trips where comfort day after day is key. The only downside is the price–but if you can afford it, you won’t be disappointed. Like the higher-end Burley Piccolo, the Burley Piccolo comes with a rack to attach to which helps with stability compared to seatpost-mounted trail-a-bikes. In fact, the construction of the Kazoo has many of the same features of its more expensive sibling. The price, however, is kept lower by using a single-speed drivetrain rather than offering gears. The Weeride Co-Pilot is really light and REALLY affordable—in fact, you can usually find one for well under $100. This isn’t my top choice for heavy use, but if you want a trailer-cycle for occasional family bike rides, the Co-Pilot is a great choice. Different families have different needs. If you have a three car garage for all your toys, storage space probably isn’t an issue. If you live in a walk-up apartment in the city, it obviously is. Our Weehoo takes up quite a bit of space in our no-garage home. Similarly, if you plan to DRIVE to your biking destination, this is also something to consider. Trailer-cycles are notoriously difficult to transport. Let me tell you, hauling a 40-pound kid is no easy feat. If your child is like mine, they will put up their feet and sing a song, and let you do the hard work. The last thing you want is to pull EVEN MORE weight. For this reason, I’d urge you to look at the weight of the trailer-cycle you are picking—especially if you will be riding up a bunch of hills. Some trailer-cycles are single-speed (just one gear), and others have a rear cassette and shifter (multiple gears). Having multiple gears is nice for two reasons: 1) it makes pedaling easier for kids, and 2) it allows kids to practice shifting so that they begin to develop that skill prior to having to learn it on their own bike. That said, a trailer-cycle with gears is certainly not necessary, and it also increases the required maintenance and price. Expect to spend a minimum of $100 on a trailer-cycle (although as mentioned, you might find a WeeRide Co-Pilot for less than that). A good trailer-cycle like a Weehoo or a Burley Piccolo will also hold up well second-hand, so you can look on Craiglist or other local classifieds. Like almost anything, the higher cost trailer-cycles tend to have better quality and more nice-to-have features. 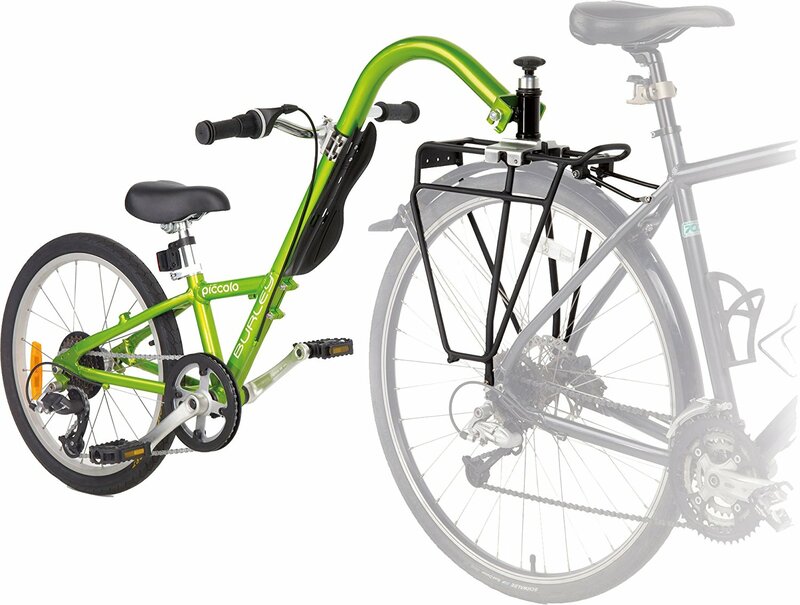 Most trailer-cycles attach to the adult’s seatpost, but some attach to a rack installed on the adult’s bike. These rack-installed trailer-cycles tend to have better stability and less sway (a major downfall of trailer-cycles). For this reason, we really like the Burley Piccolo. That said, installing and uninstalling a rack requires tools, and you may not want a rack on your bike when not riding with your child. Another thing to keep in mind is the type of bike the adult has. A rack requires frame eyelets in order to install. Some bikes don’t have eyelets—check this out first. Also, you don’t want to attach a trailer-cycle to a carbon fiber seatpost. So how do these options stack up against each other? Use the comparison chart below to figure out which option is best for you. In addition to my Top 5 picks, I’ve also included some of the other popular trailer-cycles on the market. (Tip: if viewing on mobile, you may need to turn your phone sideways (landscape) to view). My husband and I ride a Rans Screamer recumbent tandem, with a rear rack. Ironic that the one recumbent trailer-cycle, WeeHoo, cannot be rack towed by a recumbent bike or trike. Guess we will have to stick to the trailer until granddaughter is old enough to ride distances on a traditional bike seat. Major design miscalculation WeeHoo. Bummer. You forgot to mention the Tout Terrain Streamliner. the only full-suspension trail-a-bike and suitable for off-road trails. Autism often means kids need someone else to do the Steering for them, and when they get to 100 lbs at 9-10 years old, options disappear. Really a dearth of Information for us, and what we do find has an incredible lack of detail. Very few trailers, they’re ugly and have sides that don’t come down, plus they’re double the cost for that extra 25 lbs. A couple of two wheel pedal behind trailers like this in the article with single wheels, but no way to see or compare them, and if you want the better quality Mission Piggyback over the Morgan Caboose, you have to buy it with No Returns since it ships from the UK. Morgan mostly makes Pedal Cars, not Bikes, much less those for kids with Special Needs. 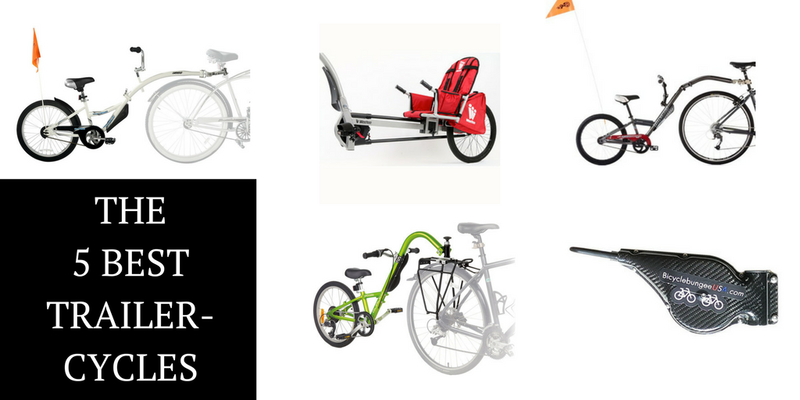 Some cities are having events now where you can try out bikes made for kids with Special Needs, but to date they don’t seem to understand that Physical Disability and Cognitive Disability are not the same, so they don’t offer Cycling Solutions for Parents to Pilot their Kids, which for us, continues possibly forever… we don’t know. It would be great if there were an Info Site dedicated to showing Video of Special Needs solutions and pitfalls for each machine. I’m hoping to attend an adaptive expo in Boston in a few weeks. I have to agree, many of the bikes I’ve seen would not be safe for my SN daughter (87lbs). Hoping to see something new & promising at the expo. I miss being able to take her out in her little trailer which she outgrew. 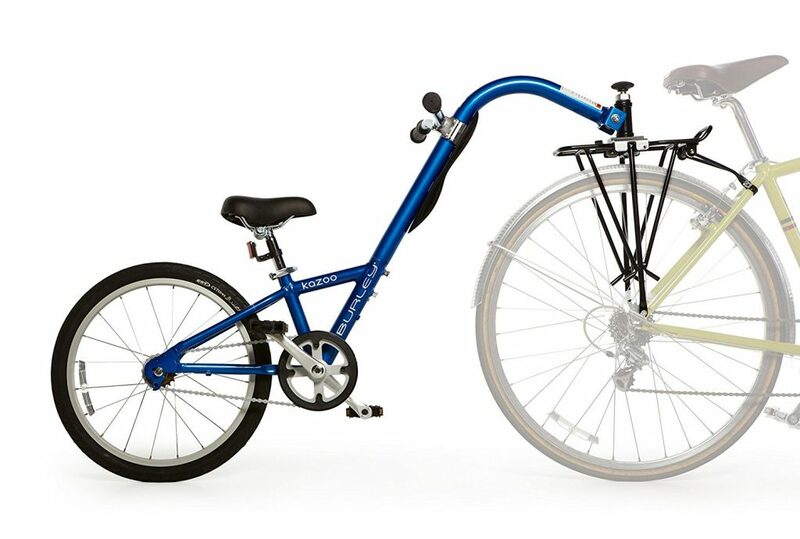 I’m buying a Burley Piccolo as a gift for a relative because it can be converted to a traditional bike. When my cousin’s daughter outgrows it, it’ll have a higher resale value to pay for her next bike. 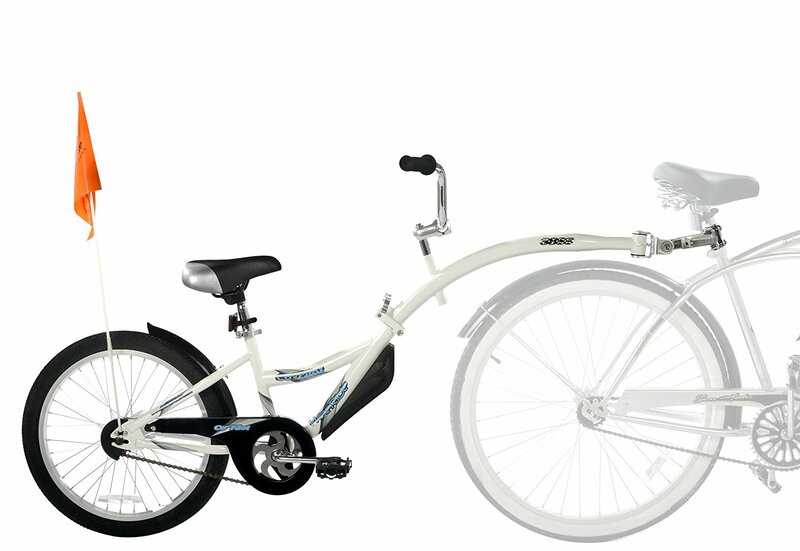 My suggestion for my cousin for the post-Piccolo bike is a 20″ folder with a Sunrace 9-36 11-speed cassette so that the bike will grow with Molly and she will have the option of taking it to college with her in fifteen years.